Posted Oct. 8, 2017, 9:29 a.m.
Posted Sept. 29, 2017, 11:46 a.m.
Estephan Hernandez, a 21-year-old Latino, was shot and killed Thursday, Sept. 28, in the 1100 block of East 148th Street in West Compton, according to Los Angeles County coroner’s records. Hernandez was sitting in his parked car talking to a friend when a black, four-door sedan drove up beside them about 9:30 p.m., Los Angeles County sheriff’s Lt. Joe Mendoza said. A person in the sedan fired while the car was in motion, Mendoza said. The vehicle was last seen driving west on 148th Street, away from Hernandez’s car. 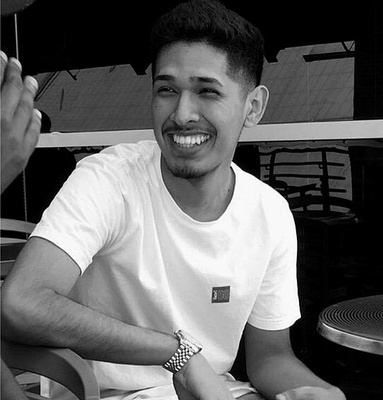 Hernandez, a college senior scheduled to graduate in the spring, was shot multiple times and pronounced dead at the scene at 9:45 p.m., according to coroner’s records. His friend, a 21-year-old woman, was wounded and taken to the hospital. The woman is expected to survive her injuries, Mendoza said. Hernandez lived in the neighborhood and was not involved in gangs, Mendoza said. Investigators don’t have a motive for the shooting or any information about the gunman. 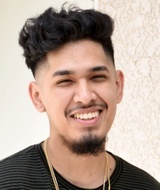 Hernandez was a high-achieving sociology student at Cal State Long Beach who made the dean’s list and president’s list for academic achievement, said John Hamilton, assistant vice president of university access and retention. Hernandez also was involved in the Men’s Success Initiative, a program designed to support black and Latino students in their studies. Hernandez had a way of putting people at ease, Hamilton said. Hernandez graduated with honors in 2014 from King/Drew Magnet High School of Medicine and Science in South Los Angeles, where he served as class president, according to a fundraising site to help his family with expenses. Hernandez would have been the first member of his family to graduate from college, according to the site. “Please help us provide some comfort and peace of mind to a family that is deeply hurt by this hateful, unjust and unwarranted violence that occurred steps away from their home,” the site says. Both sites urged people to come forward with information about the shooting. — JhonDono Oct. 9, 2017 at 4:18 a.m. He was a great person, he never deserved this. He was such a hardworking kid. Ever since I knew him. I remember when I first met him. I fell in love at first sight. He was my crush for three years. He of course, wasn't interested in me. But, he was just the perfect man in my eyes. And he grew up to become such an amazing man with so much opportunities.. But, those people had to take it away from him.. Why him?.. — Dani Oct. 6, 2017 at 3:51 a.m.